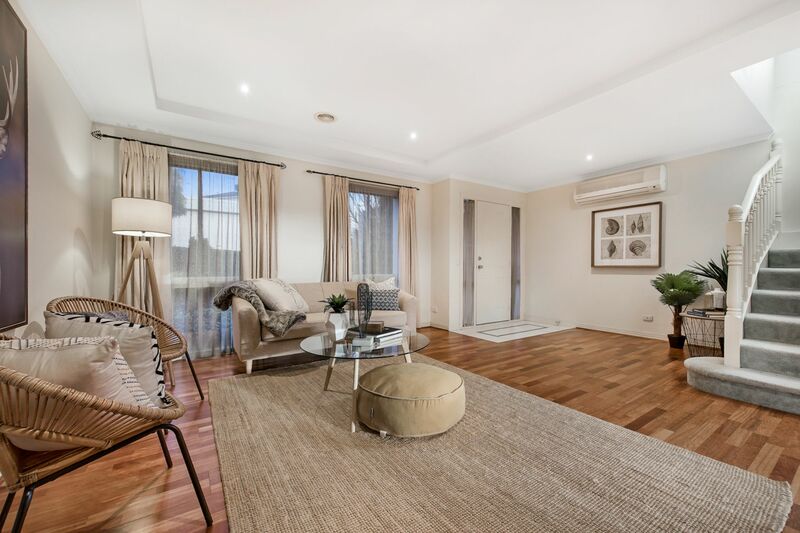 Nestled within the esteemed Cambridge Garden Estate, this timeless Georgian-style townhouse offers an enviable low-maintenance lifestyle, whilst blending ultimate convenience with modern living. 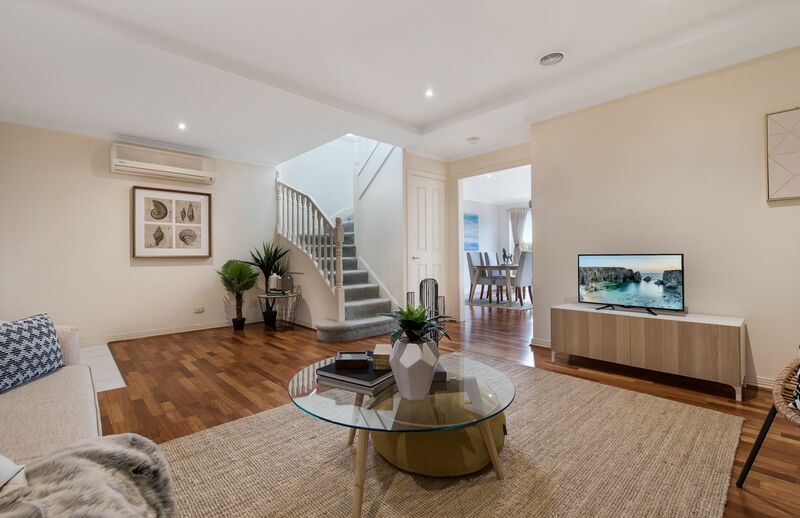 Beautifully detailed and unfolding seamlessly throughout, the home showcases a gorgeous formal lounge room adorned with stunning floating floors, while a sleek kitchen and meals zone boasts stainless steel appliances, a dishwasher and a convenient breakfast bench. 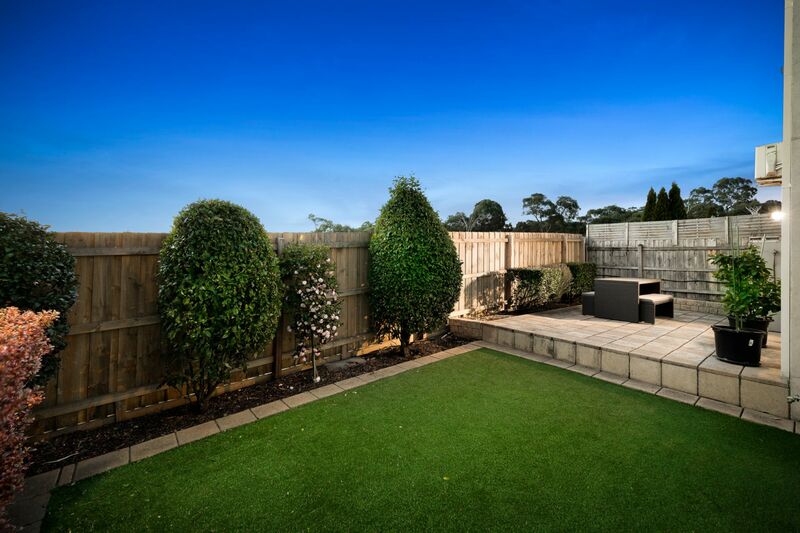 It is a Entertainer�s delight, as the home opens out onto a paved entertaining zone overlooking a private backyard with low-maintenance synthetic turf, providing a relaxed place for social gatherings and weekend BBQ's with family and friends. 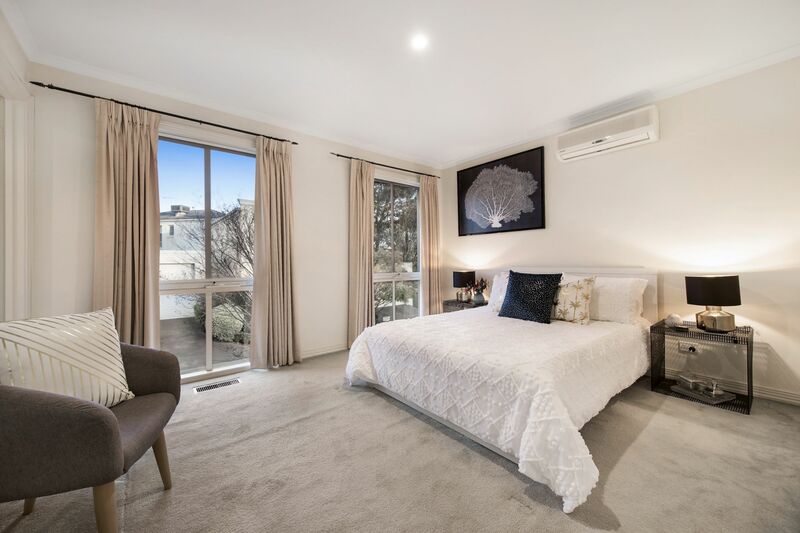 The bedrooms are private, located on the upper level and include the spacious master bedroom with chic ensuite and walk-in robe, while the remaining two robed bedrooms share the stylish family bathroom and separate toilet. 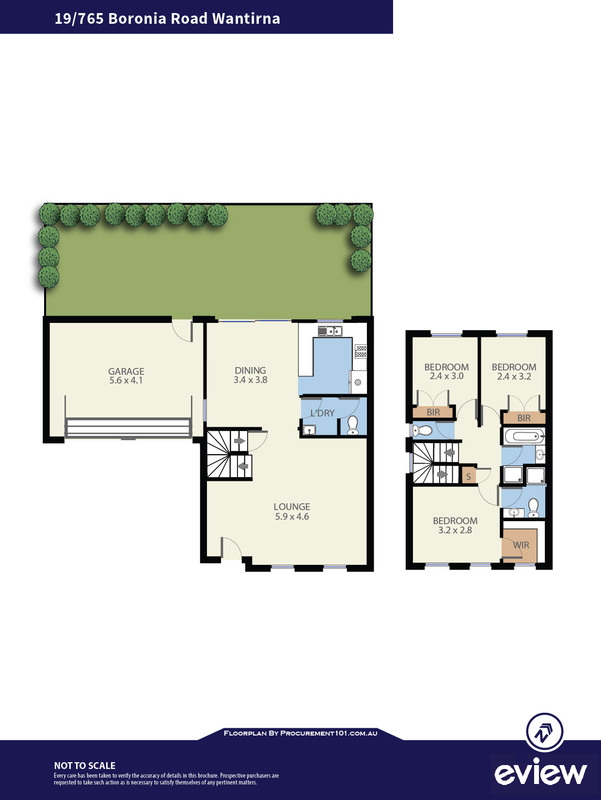 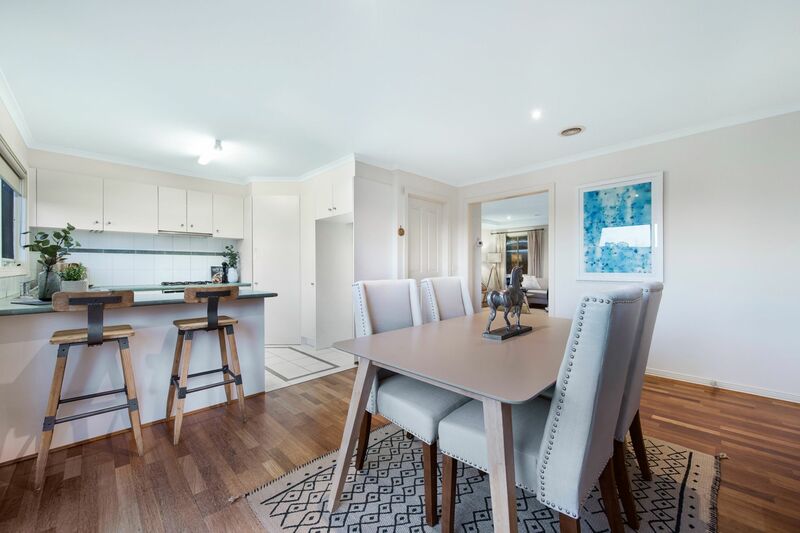 Creature comforts include a powder room, laundry, ducted heating, split system air conditioning plus a double garage with internal access, further complemented by excellent guest parking. 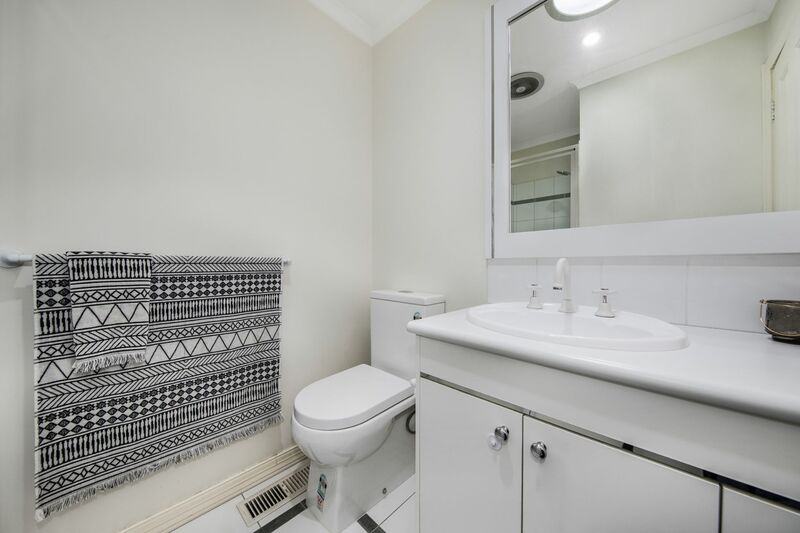 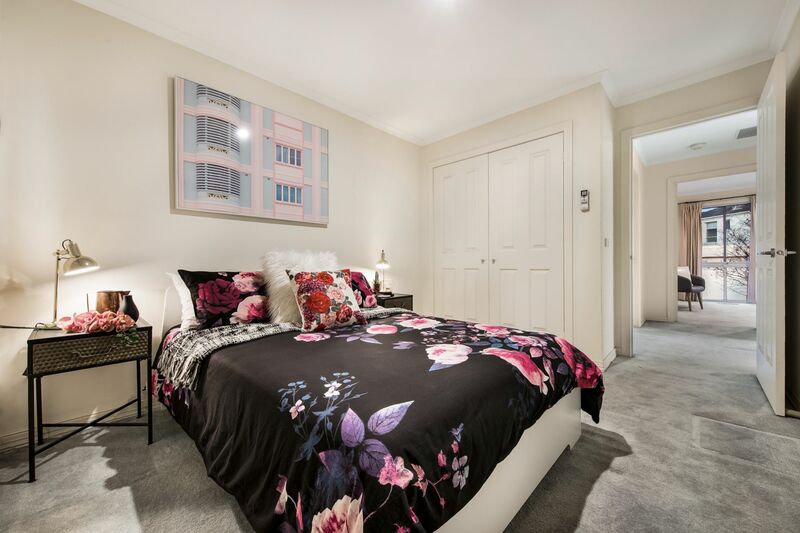 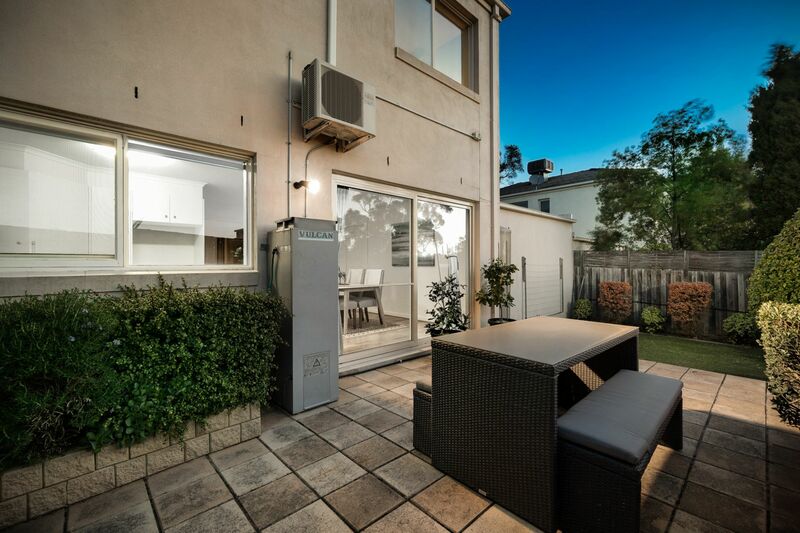 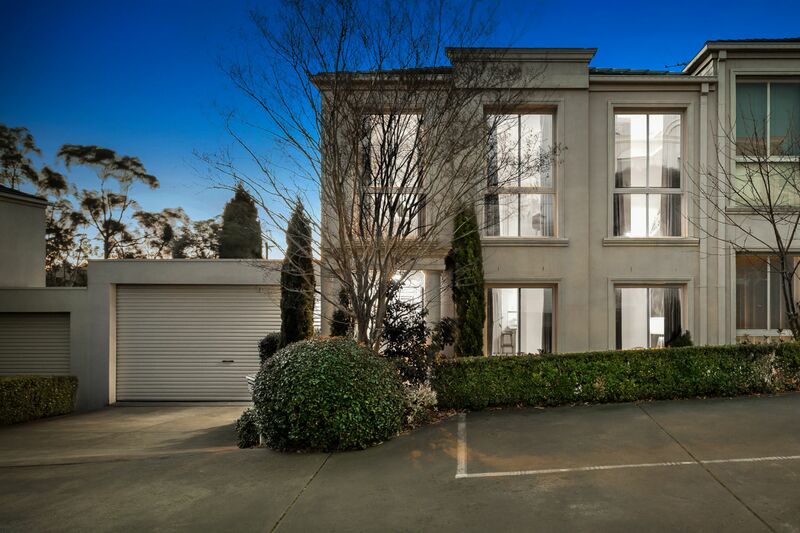 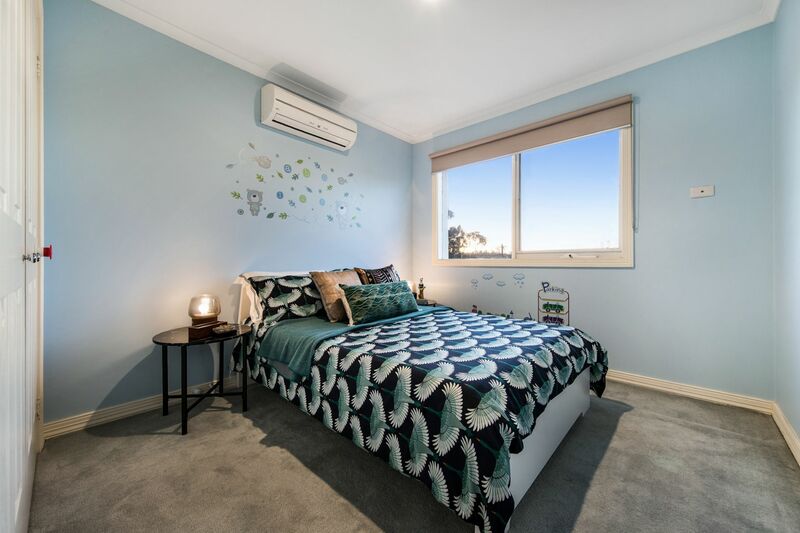 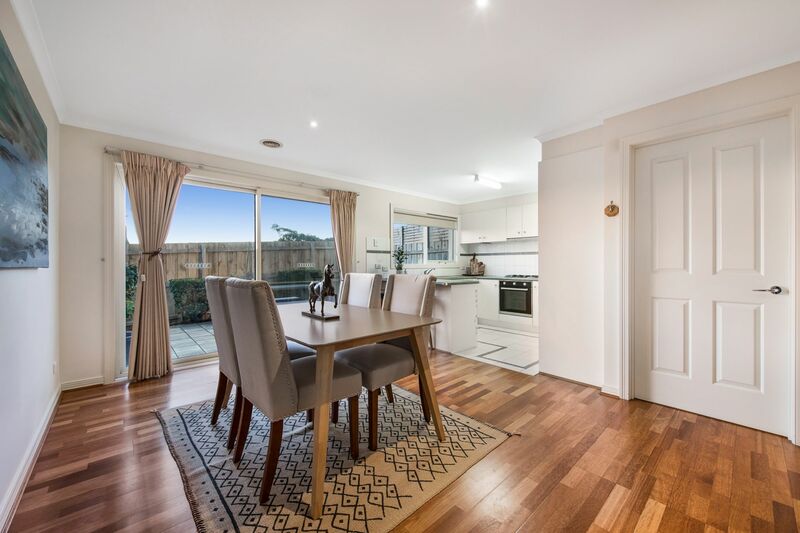 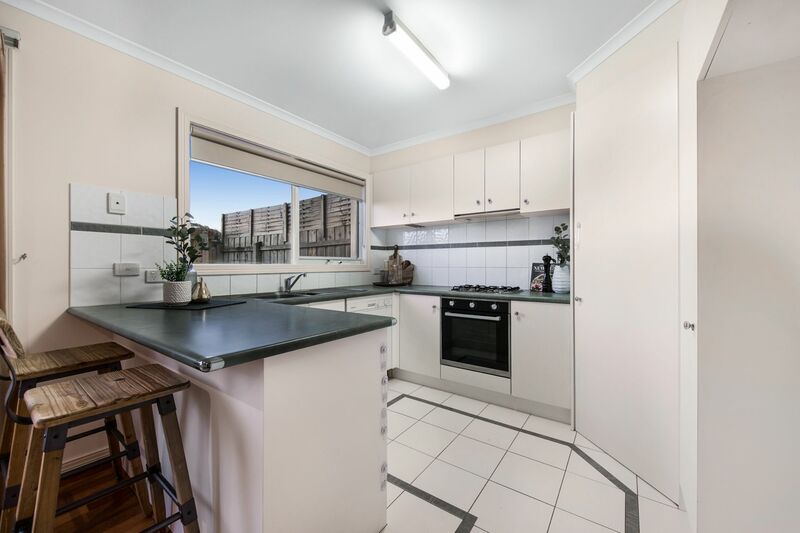 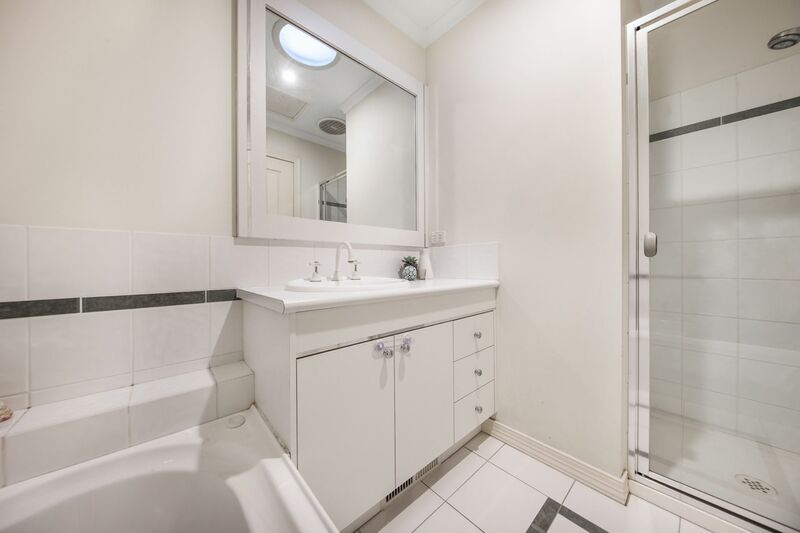 In an outstanding location, moments from Wantirna Mall, Knox Private Hospital, Wantirna Primary, Heathmont College, Westfield Knox Shopping Centre, parkland, buses plus EastLink Freeway.